I’ve written a lot of books and things. Some for love and some for money. My original background was in the theater. I studied at the ACT Young Conservatory in San Francisco, and at the Lee Strasberg Studio in New York, and I acted in a lot of community theater. In my twenties, I traveled widely. I was an active participant in the underground art scene in San Francisco in the 1980s; I worked on documentary films, exhibited thematic installations, and performed alone and with colleagues. To create expansively, across disciplines. To trust the seasons and tides of creative flow. That I need to work alone. Sometimes. AND that I do my strongest work when I have the support of colleagues and mentors. At the age of 29, I began to focus on my writing. I wrote and eventually began to get published: novels, short stories, personal essays, poetry, columns. I held day jobs. I worked as a technical writer. 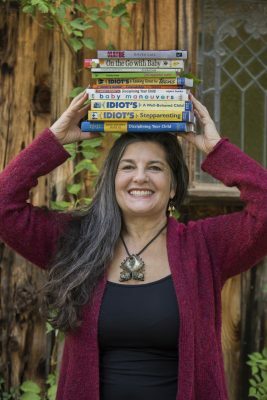 I wrote seven commercial nonfiction books. I wrote articles, book reviews, and online content. In 1992 I also began editing, coaching, and consulting with other writers and organizations. In 1999 I joined the faculty at U.C. Berkeley, teaching Leadership Communication, writing, public speaking, and cross-cultural communications. In 2007, I returned to my theater roots to write and perform one-woman shows with W. Kamau Bell and Martha Rynberg’s Solo Performance Workshop (SPW). I learned how solo performance is best created in collaborative settings. I realized again how, as writers, we have this societal assumption that writing is best done alone, in a garret, while suffering, and how punitive this approach is. 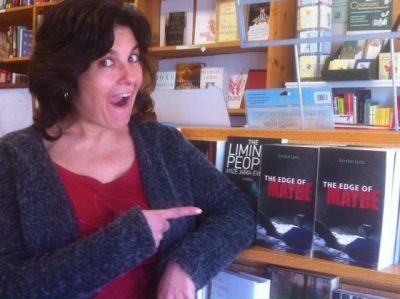 In 2012, my novel The Edge of Maybe was published by Last Light Studio Press in Boston. Later in 2012, I bought an old quirky house, deep in the forest in the Sierra Nevada foothills. It’s known as the Secret Undisclosed Location. For a few years, I commuted across the state twice a week, from my home in Oakland to the Secret Undisclosed Location and back until, at the end of 2016, I retired from U.C. 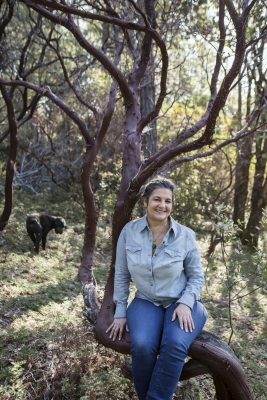 Berkeley to live full time in the forest where I raise chickens, host the podcast Licking the Bowl, write … and BOOK MENTOR. I offer one-on-one book labs for authors + I host writing retreats in exciting locations. My Vision is to tap deeply into my own story, to continue to write, perform, and live my life as Reverent Art in a dark time, and to model this to others; in revolution, in resistance, and in love. My Mission is providing mentoring services to experienced writers, honoring their voices, passions, and skills. I bring a discerning eye, an attentive ear, an open heart, an honest voice, a sharp and strategizing brain, and 25 years of editorial and consulting experience to help writers navigate their way – joyfully and successfully– through their writing projects… and artist’s life. View my selected publishing credits and work experience. Read what clients have to say…!